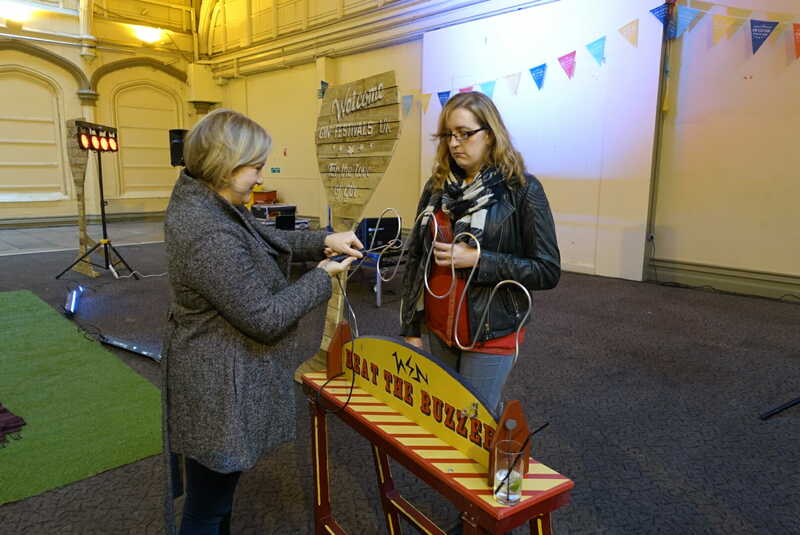 Gin Club outing to Bristol gin festival - What's Katie Doing? Every so often I drag members of the Gin Club with a Reading Problem out of London. 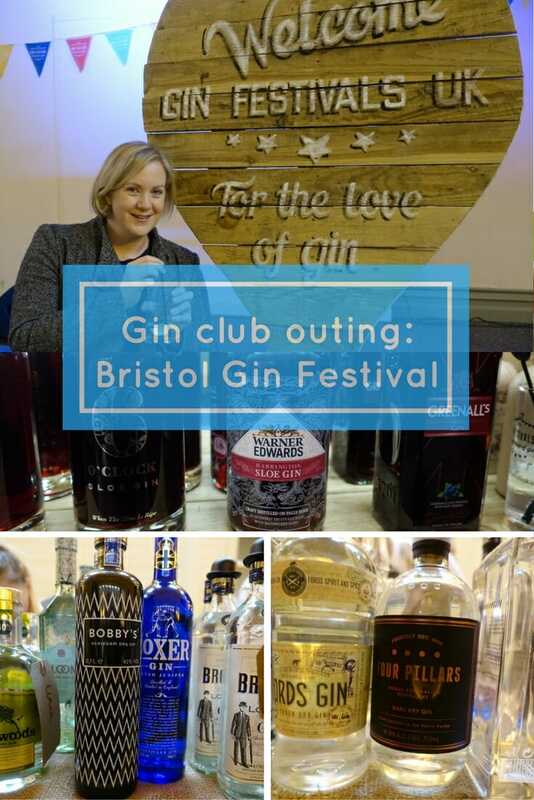 Off we go to drink gin in new and exciting places, this time it was the Gin Festivals UK Bristol festival. 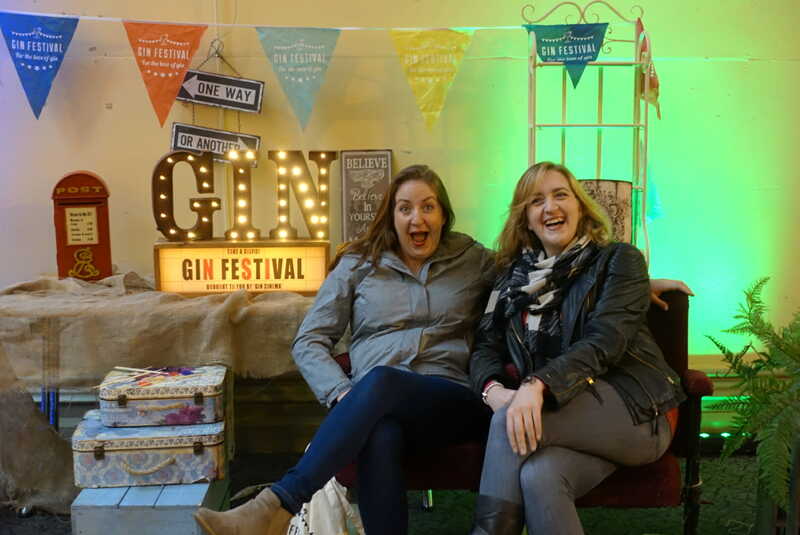 Gin club outing to Bristol gin festival! I want one of these gin lights!! 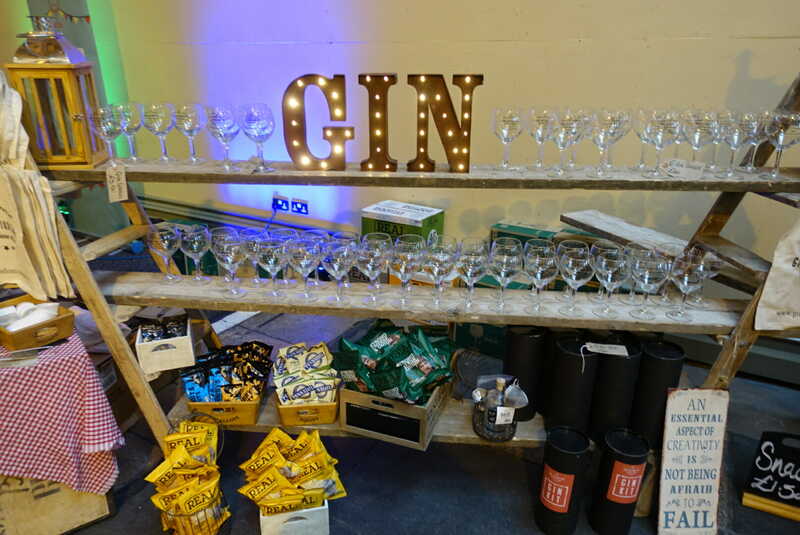 £10 ticket includes the goodie bag with gin bible (listing all the brands available to try) and a gin festival highball glass (the copa glasses were available to purchase). 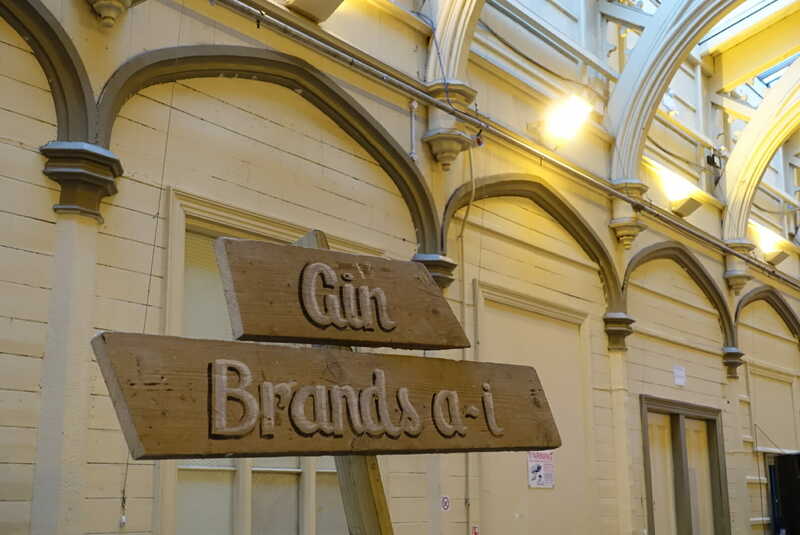 The shed was split into 2 halfs with different gins on both sides – we were told that it was basically a bar where you could get all the listed gins as gin and tonics. For £20 each you could buy a voucher for 4 gin and tonics, which seemed reasonable at first, but it’s actually only a single, so aim for the premium and unusual ones to get your money’s worth! Wrist bands at the ready! 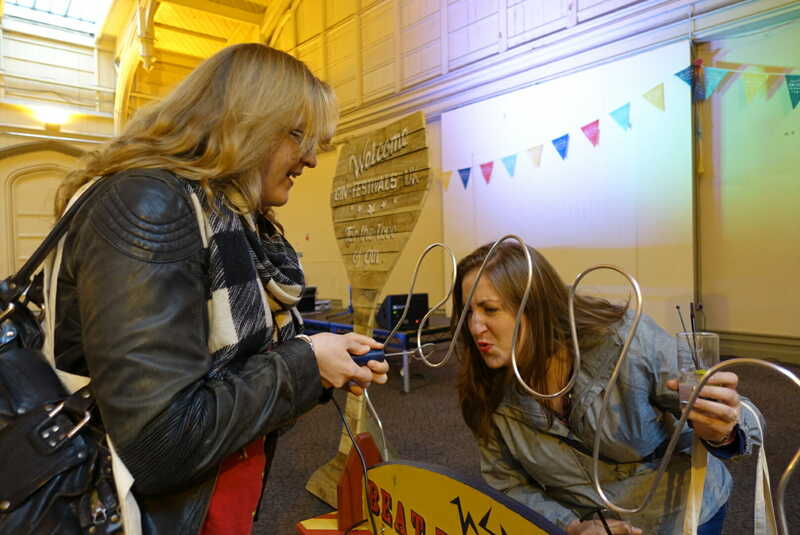 Not one to try after too many gins, you can see Liz is trying to put Sarah off! Naturally I had to have a go too! 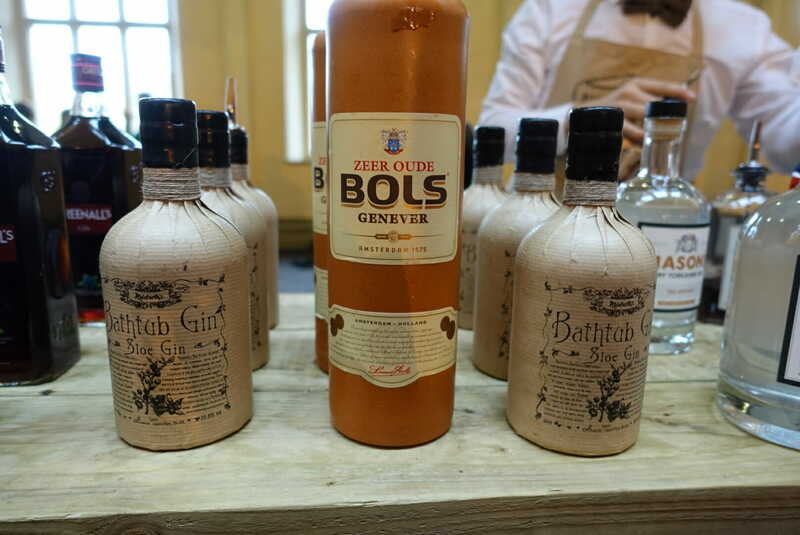 The talk was quite informative, taking us through genever, classic London dry, Old Tom, Plymouth gin (although this is no longer a type, more a brand) and sloe gin. As part of the talks samples were sent around the audience, however not everyone got a try 🙁 those with elbows won out! Given that the Gin Types talk was sooo busy we went early for the cocktail one. 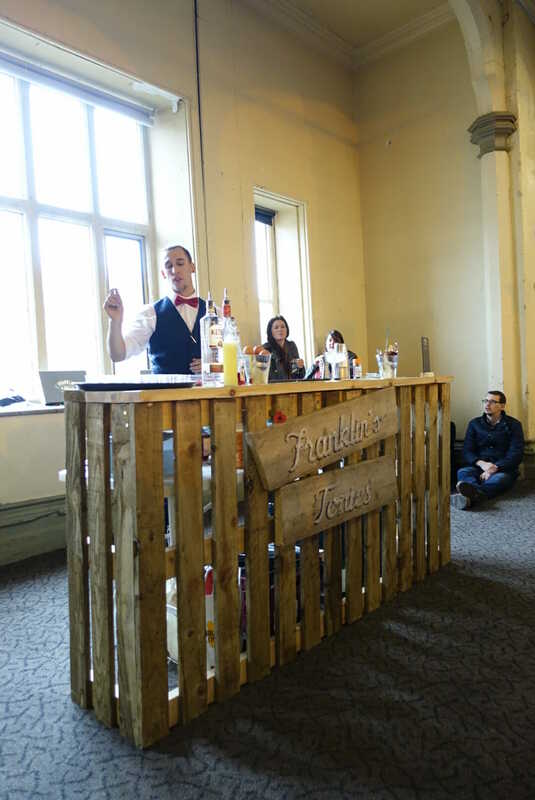 We managed to get front row seats for the cocktail demonstration! Winter cocktails were being presented. We tried the classic Clover Club, a Flip and a Sloe Gin Fizz. I think my favourite was the Fizz – it had nutmeg on top and a whole egg in the mix, so was more an after dinner or Christmassy drink. The girls liked the Clover Club, but I prefer mine with more raspberry flavour. 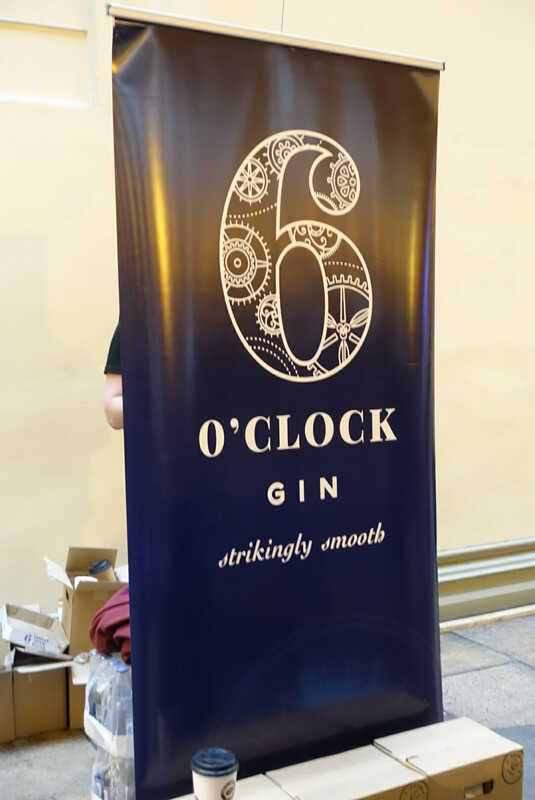 So at each of the bars around the room we could try a gin and tonic from the brands participating. there were 96 listed in our gin bibles! With that many how do you decide what to try? Well I went with the ‘what haven’t I tried approach’ and the ‘what sounds good’ approach. Sometimes this can be a mistake, where something sounds great, but as you can’t try before you buy it might not do what it says on the tin! 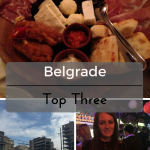 We had to try Dactari – just for the ‘I dream of Gini’ on the bottle! 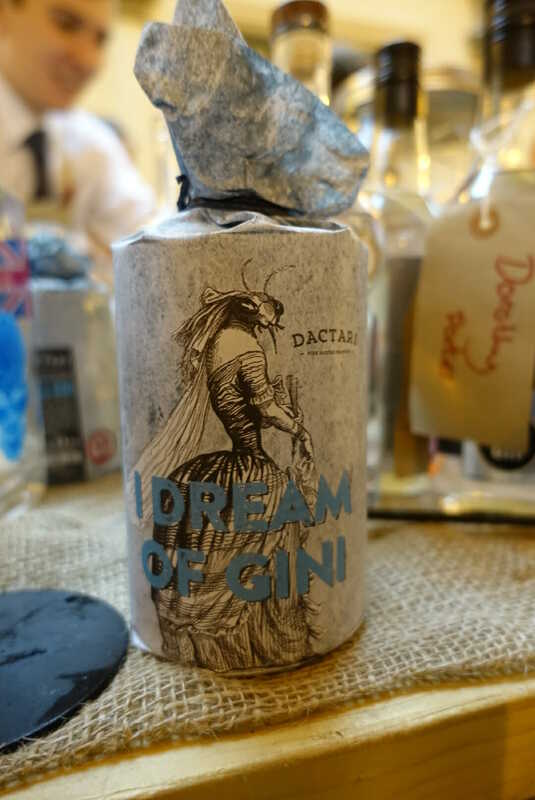 Dactari is a German gin with a base spirit made from a mix of grain and wine distillates – so a little different to your average gin made with a pure grain base. 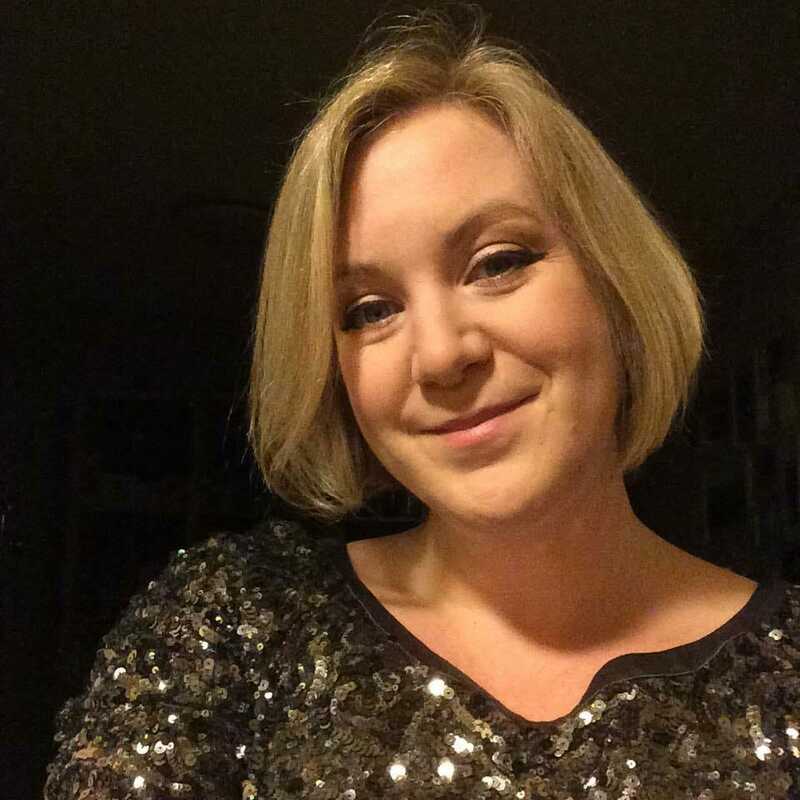 I thought that you could definitely taste the wine aspect neat (yes I tried it neat before adding tonic – I’m trained to do this now!) 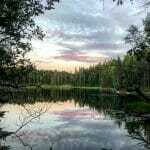 and it made a very pleasant G&T. 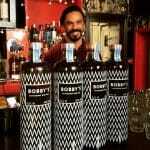 Towards the end of our tasting we stuck with some of the old favourites, like Bobby’s. It was good to drink something familar! 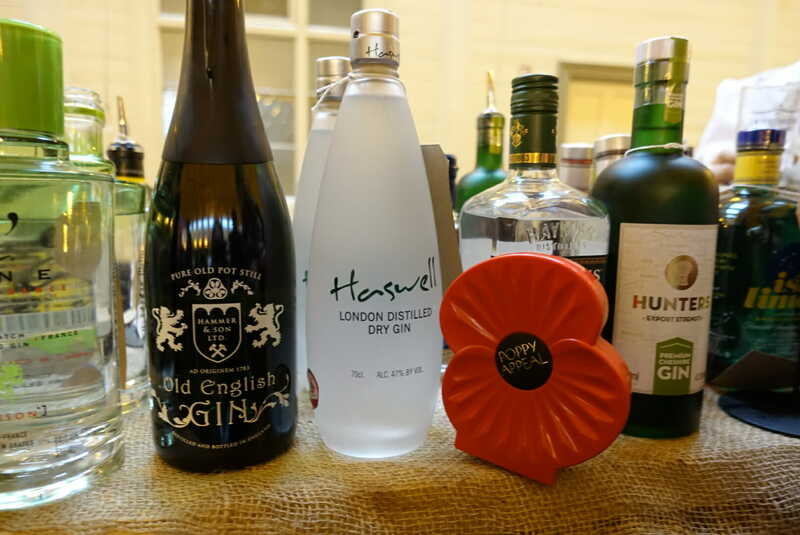 The ‘H’s with a poppy collecting tin alongside – I managed to get a sparkly poppy off a lady at the gin festival this year! 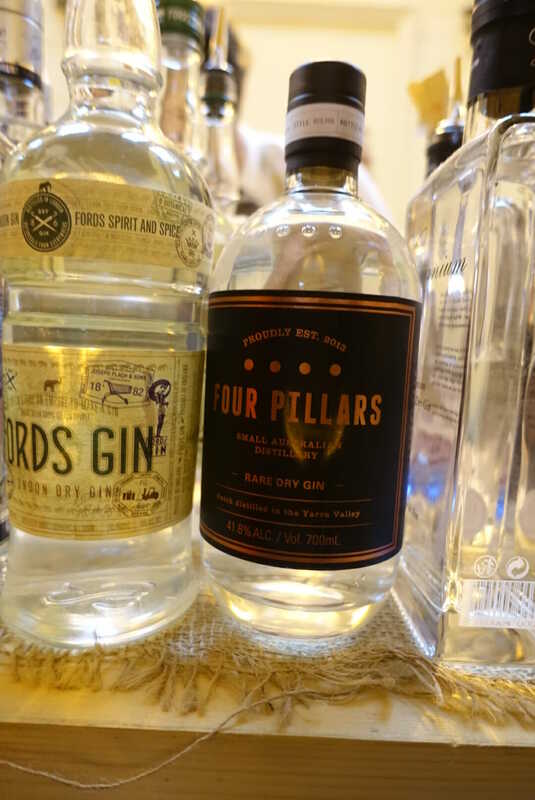 I’m sure I had tried Four Pillars before – but I tried it again and was immediately hit by how much I love this dry gin! Its a classic flavour, but with the dryness ramped up – which meant that it stood up to the tonic really well. 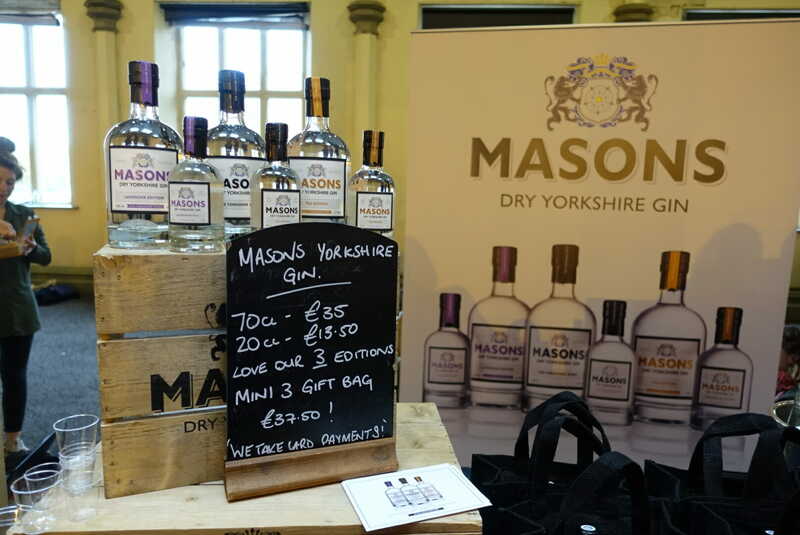 Mason’s have a Dry gin, their Tea (’cause Yorkshire is known for its tea!) and a Lavender gin, which I had first tried at Think Gin earlier in the year. 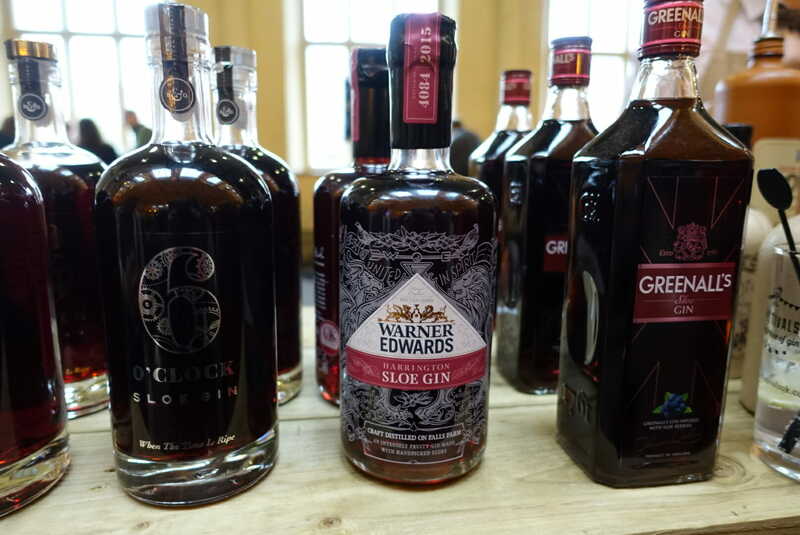 As well as being able to sample these gins, you could buy bottles, including the gift bag with all 3 in mini sizes! Perfect for presents we thought. I ended up taking a bottle of damson gin home with me… well it is the season for it! 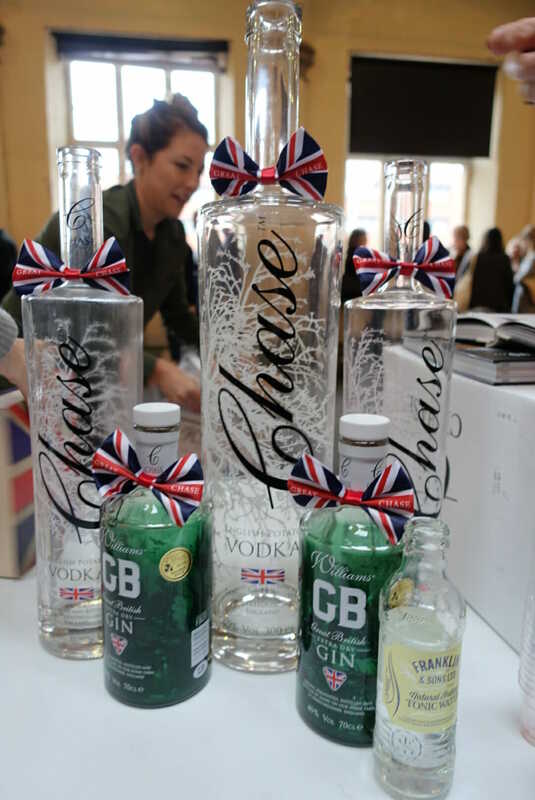 We tried the Chase Elegant gin, their Great British extra dry gin, the grapefruit gin (too much grapefruit oil in this for me) and the Mulberry and Sloe gin. I love the bow ties that all their bottles have! 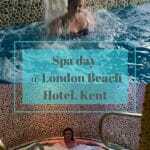 We were onsite from midday until about 3.30pm, our tickets were for a 4 hour session, so we did a good attempt! What I liked about this festival was the selection of drinks to try. For me I really want to taste a gin before I go and spend £35 on a bottle. Here you could do that with a vast selection (around a 100! 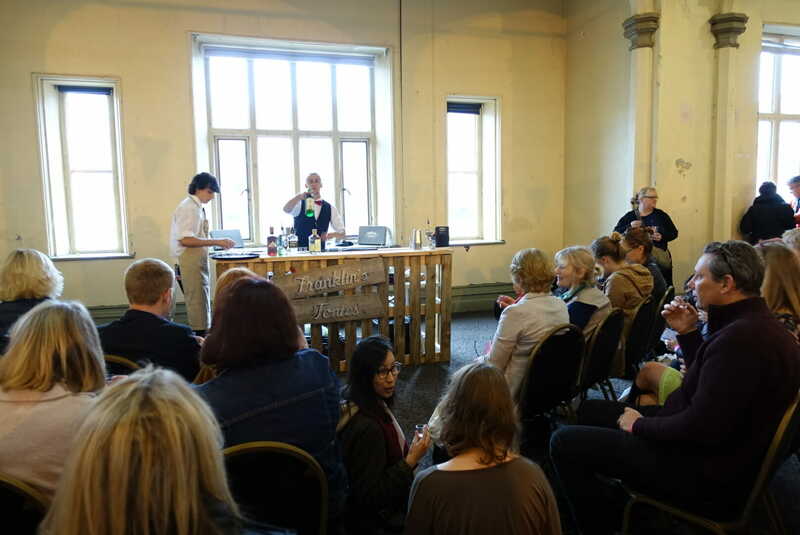 ), I also enjoyed the gin talk and cocktail demonstration, although we didn’t get to sample everything. 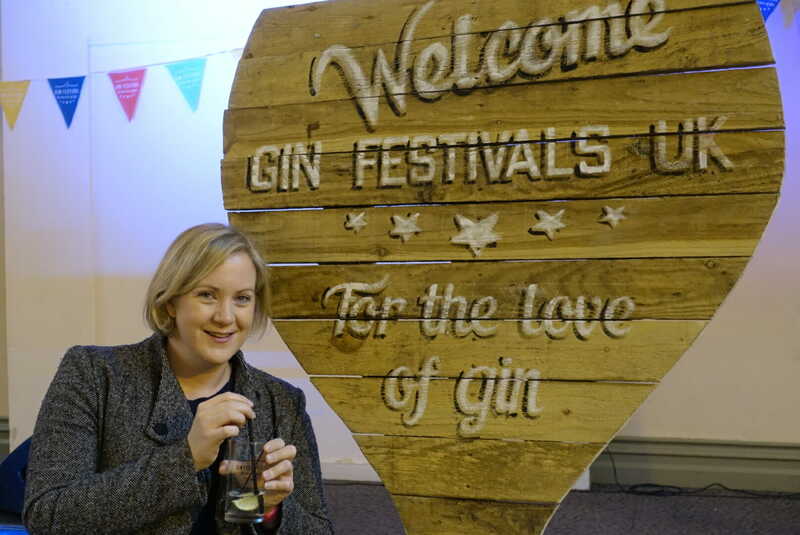 The other really fantastic thing is that this festival travels all over the UK, making gin accessible to the masses! Water… there were no water stations, I mean at least have a tap somewhere! 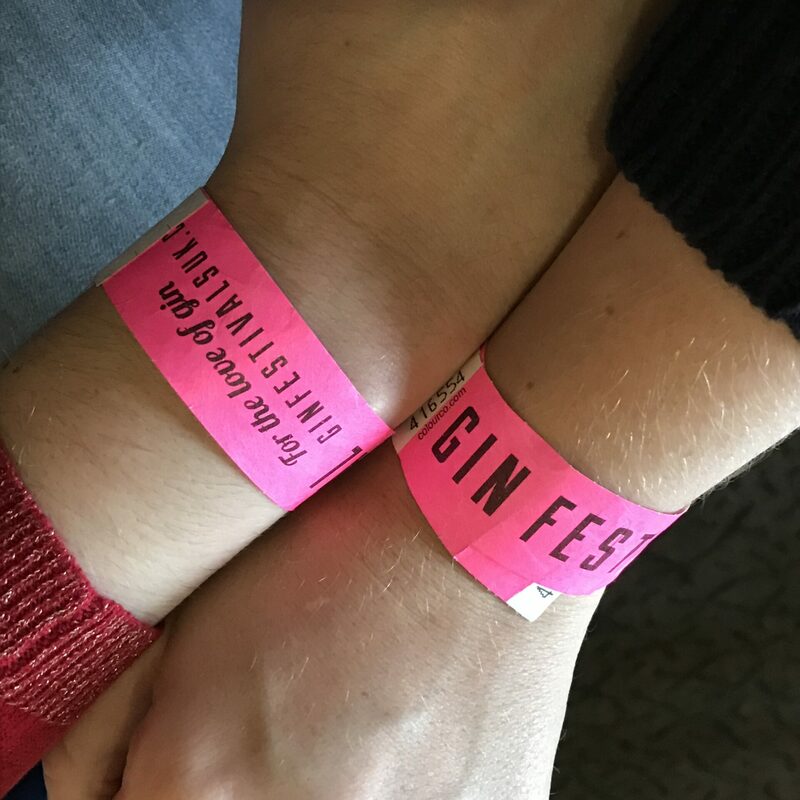 So in summary we had a good day, however I think I will stick to free tastings or festivals like Junipalooza to be able to get my gin fill in. 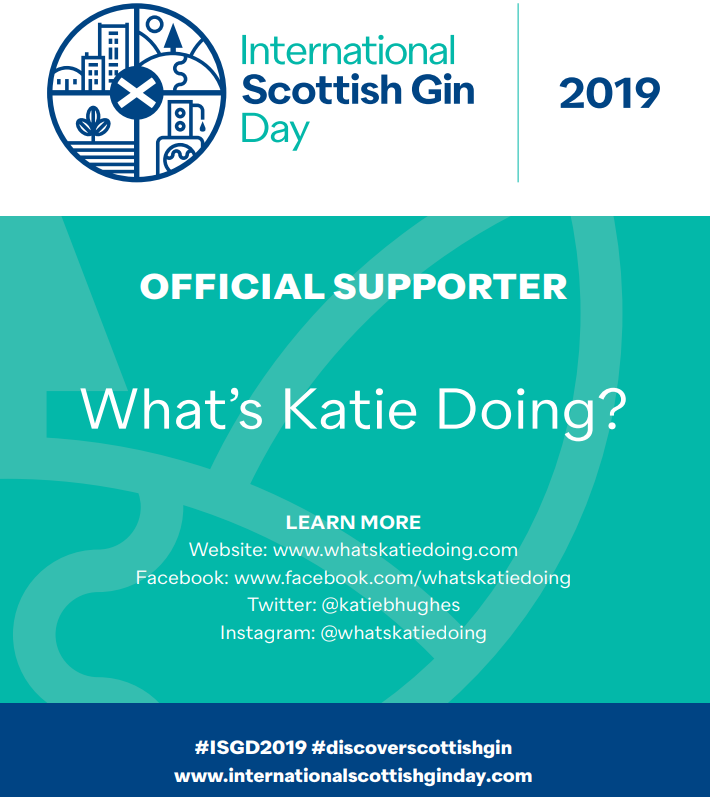 I do appreciate meeting the distillers and having in depth chats about the production, not just drinking the gin! 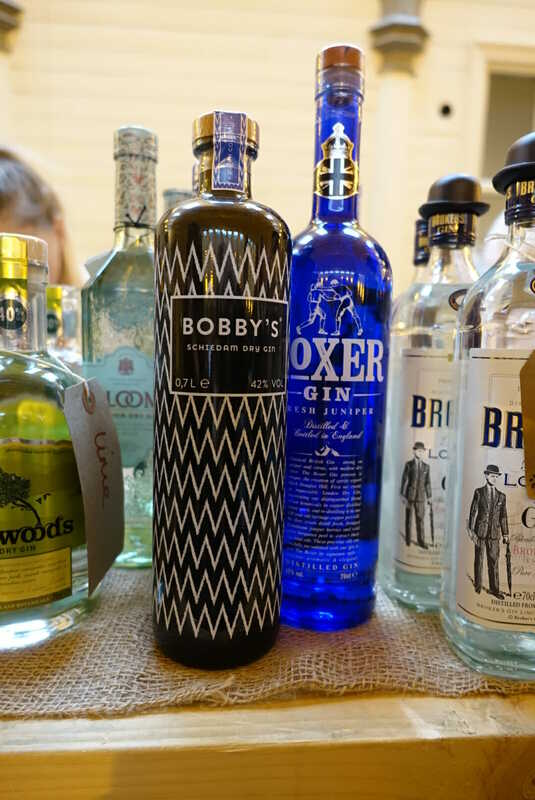 If you want to go try some gin before you commit to buying the bottle you can find Gin Festival UK here – see if there is one near you!